Its no surprise that Char would lean towards minimalist and sports inspired items. As a former athlete, the clean lines work really well with her lean frame and chic cropped cut. 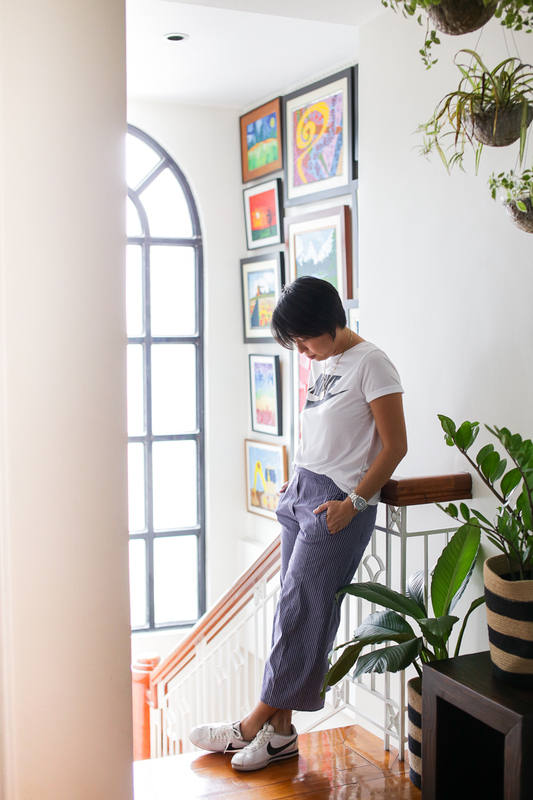 This self proclaimed “maarteng tomboy”, opens her closet and lets us peek into her wardrobe must-haves, sneaker obsession and shares shopping tips for kids. Nike shirt, Zara cropped pants, Nike Cortez sneakers. PL: Let’s talk closet essentials, which pieces can’t you live without? Closet essentials: Topshop boyfriend tee, Zara trace pants, everyday accessories from Cartier and her men’s Rolex watch. Boyfriend Tee. Topshop makes the best ones! Comfy pants. I hardly wear jeans, I have back-of-the-knee syndrome! Anyone else have them? Hahaha! My go-tos are track pants. I love that they’re sporty yet can be dressed up or down. Designer bag. A well made bag instantly elevates an outfit. You can be doing school pick up or grocery shopping in shorts but when paired with a good bag, you instantly look polished. Diamond studs. I think studs are a great investment. They’re classic, beautiful and look great with everything. A man’s watch. Let’s admit it, they look way better on us than them! Sneakers. Comfort is key especially when you have 4 children. When I’m not chaperoning my eldest to her tennis tournaments abroad, I’m busy with errands, painting or school pick ups and drop off with my other kids. I’m pretty much in kicks every single day of the week. PL: How about Martie, what’s her style like? Block print dress from India, Adidas sneakers. Char: Martie’s definitely a girly girl. She loves skirts and dresses and twirls whenever she has one on. 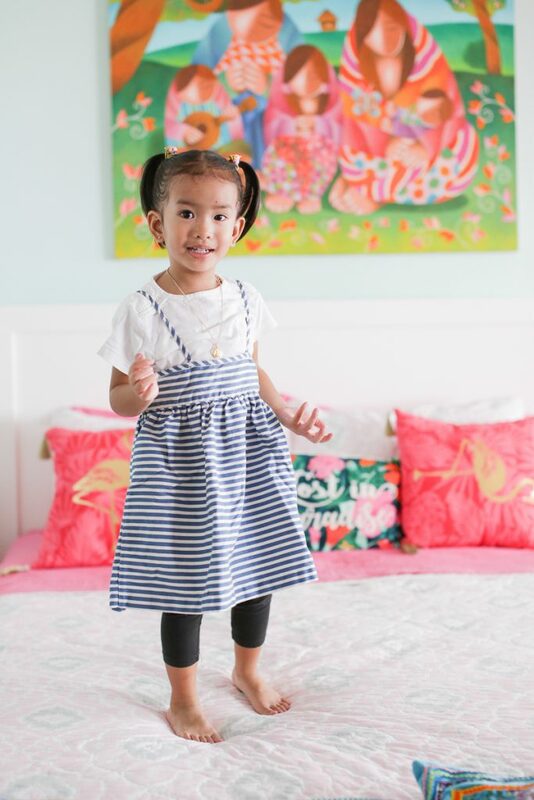 And while she’s all frills and fluff, she’s definitely active and sporty just like her big sister. You’ll see her in skirts and dresses paired with leggings and sneakers! 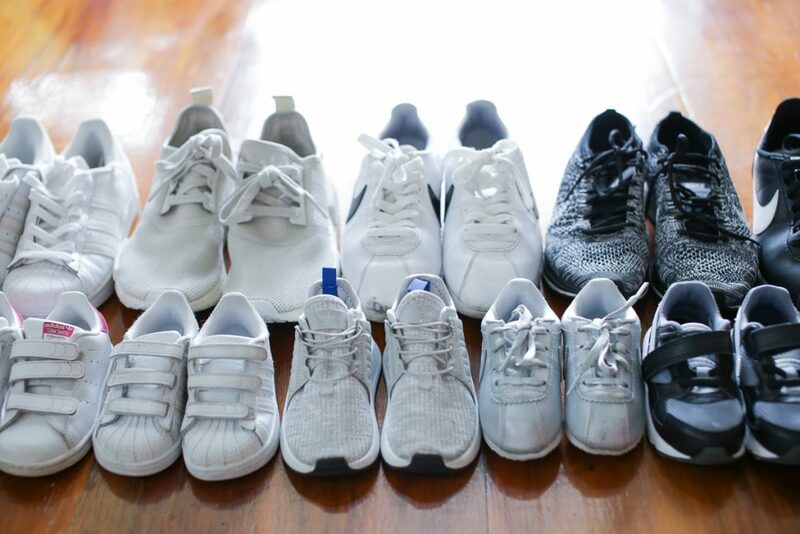 I think she has more sneakers than any other type of shoe! Sounds like someone I know… Haha! 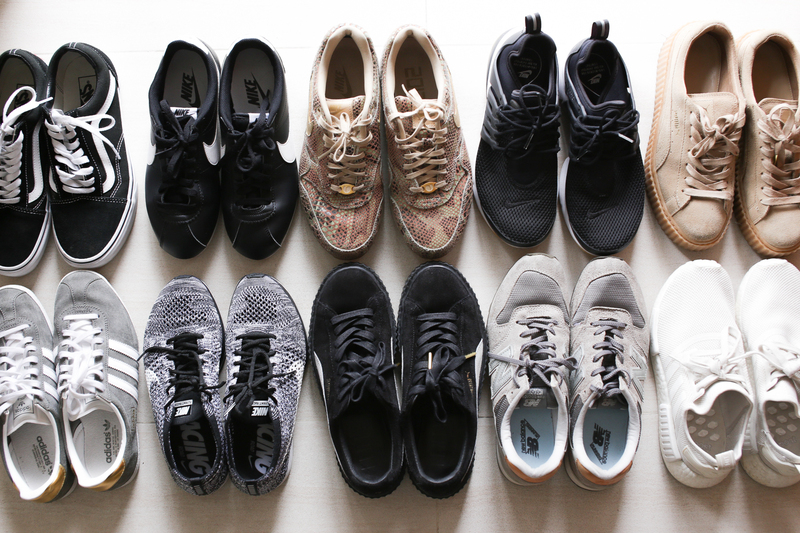 Favorite kicks from Nike and Adidas. PL: Does she pick out her own outfits now? 90s forever. 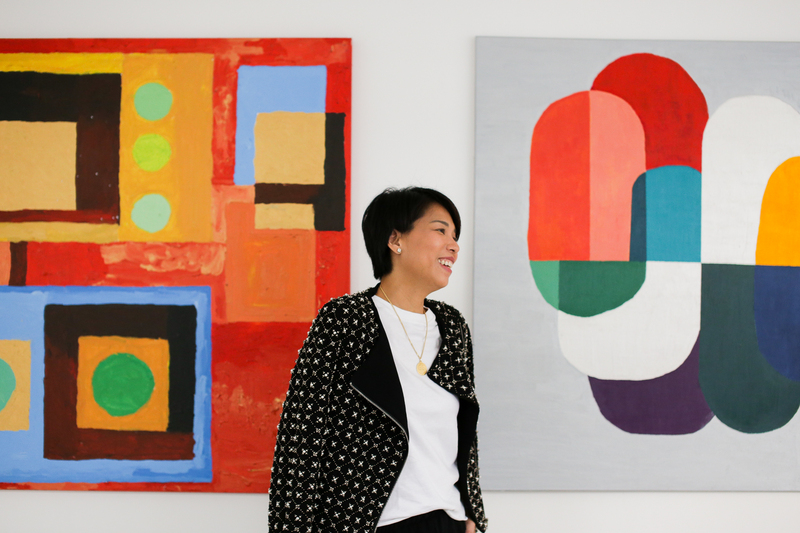 Martie’s take on layering. Char: Yes she does! Just the other day she insisted on wearing her neon pink jacket around the house just because. She’s also very opinionated when it comes with my outfits! Whenever I put a pair of shoes on, she checks it out and makes me change. She wants us to wear either the same style or similar. She’s my only kid who likes to wear matching outfits so I’m embracing it!! PL: Got any shopping tips for kids? My eldest is a girl, I used to buy outerwear for her from the boys’ section. I did this for two reasons. First, she could easily pass it down to her younger brothers and second, pairing boys’ pieces with feminine items creates really cute tomboy outfits. Head to the back of the store and check out the sale racks first. Children outgrow things so easily. I don’t like buying clothing (or stuff in general) at full price. Buy winter clothes at the beginning of the year during sale season and get then in bigger sizes. Zara has great choices and just in time for vacation season too! Stock up on good basics. If you find the perfect pair of pants buy them in several colors and always buy 2 of the black. These pieces will get you through no matter what season and are great investments that you can easily hand down to your other kids.